Home cleaning products should be non-toxic, harmless to our kids and hopefully, eco-friendly as well. It’s hard to find something like that in artificially processed products, then why don’t we just use food as an alternative to harmful chemicals? Here are 6 ways to use food as the best home cleaners. After having passionate and enthusiastic cooking time, you get your masterpiece but also usually end up with multiple crusty spots and grease on your pots, pans or other cookwares as well. You can use a lot of strong chemicals to remove it, but there is more eco-friendly and more skin-friendly to scour and clean all those. Using coffee grounds could be a good alternative to strong but harmful dishwashing liquids. Since grainy-textured grounds are abrasive, they can help remove buildup from pans. Just add a bit of water and mild dish soap you have and you’re good to go. Many people have problems with smelly shoes. Especially, at this time of year, when the summer is just around the corner, it gets humid as heck and your shoes start giving off horrible odors than usual. Coffee grounds can be an easy but awesome cure for the problem. Just dump dry grounds into a sock or old pantyhose, tie a knot at the end, then drop them into shoes to zap odors overnight. These satchels can also freshen up musty places such as musty closets. Coffee grounds are awesome, aren’t they? Using this spongy, doughy material is a safe way to clean a painting, free of harsh chemicals. 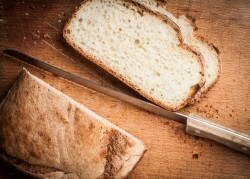 Using bread, white bread is recommended, even non-experts can clean paintings without leaving any harms to the paintings. Just don’t rub it too hard and sweep any crumbs away once you’re done so you don’t get any ants afterward. Stop painfully scrubbing the inside of your microwave. Make it easier to wipe down by heating a cup of water and a chopped-up lemon on high until the microwave’s window is steamy. In most of the cases, you need to microwave it for 3 minutes so that the liquid comes to a boil. And let it stand for another 5 minutes without opening the microwave door so that the steam trapped inside would help loosen food gunk. After that, all you need to do is to remove the bowl from the microwave and start wiping the inside of the microwave without hard work. The things that you’ll need for this are a large lemon, a generous handful of a coarse grain salt, water, and paper towels. 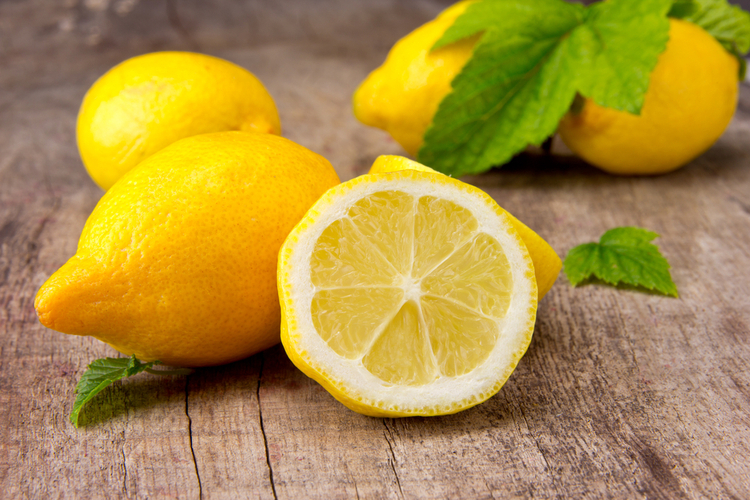 Then, cut your lemon in half and take on half of it in your hand and squeeze the juice all around your cutting board, using the lemon to spread it all around. The lemon juice naturally deodorizes that funky onion and garlic smells that may be lurking on your board. Sprinkle coarse salt all over your board and squeeze the juice of the second lemon half on top of that. The coarse salt scrapes all o the crumbs and dries bits off your board, as well as absorbing the lemon juice so your board doesn’t get too wet. If you add a protective coating after all the process, you can use a food-grade mineral oil or canola oil to spread it all over the top and sides of your boards so that it could act as a protection. You know how it’s impossible to reach the bottom of some flower vases with your hands? Just toss a scoop of uncooked grains, any kinds of grains will work, into the vessel and swish it around with warm water and dish detergent to scrub those tricky spots. When the inside of your washing machine is dirty and smells horrible because of bacteria bred inside of it, you need to do something about it. However, it’s pretty hard to put anything to make it smell better because if you put something wrong, your and your family’s skin is going to suffer. Therefore, what you need is the ultimate, even edible washing machine odor exterminator. The thing you need to make this is baking soda and white vinegar. You can prepare a sponge if you’d like but it’s not necessary. All you need to do is mix 1/4 a cup of baking soda with 1/4 a cup of water. Add this solution to your machine’s detergent container. Pour 2 cups of white vinegar into the drum and run a normal load at high heat. Then, Scrub any remaining dirty spots with the rough side of a sponge dipped in a solution of one part vinegar, one part water. To maintain this freshness moving forward, pay attention to keep the drum dry between cycles, and clean the gasket as needed.